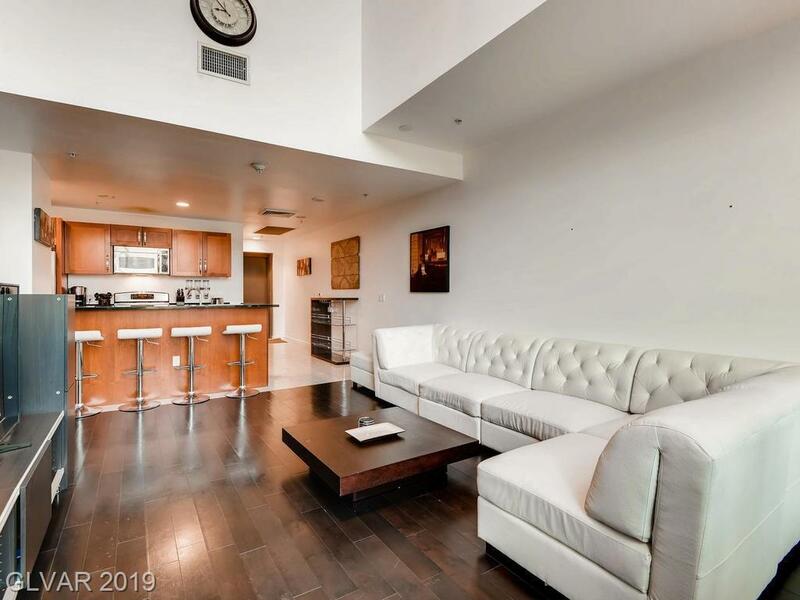 Gorgeous & Rare 1Bdr/1-1/2 Bath Luxury Condo w/Loft. 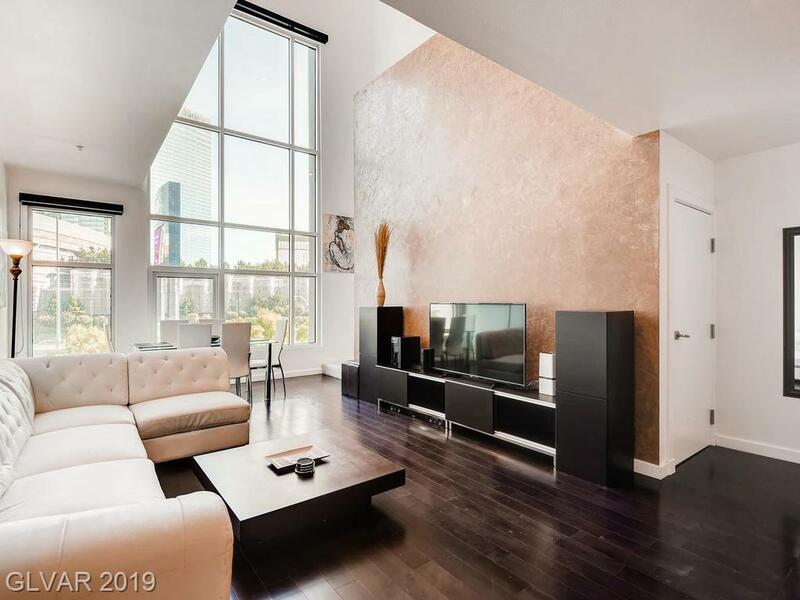 Fully Furnished Loft Style Unit with high ceilings and Open floor plan! 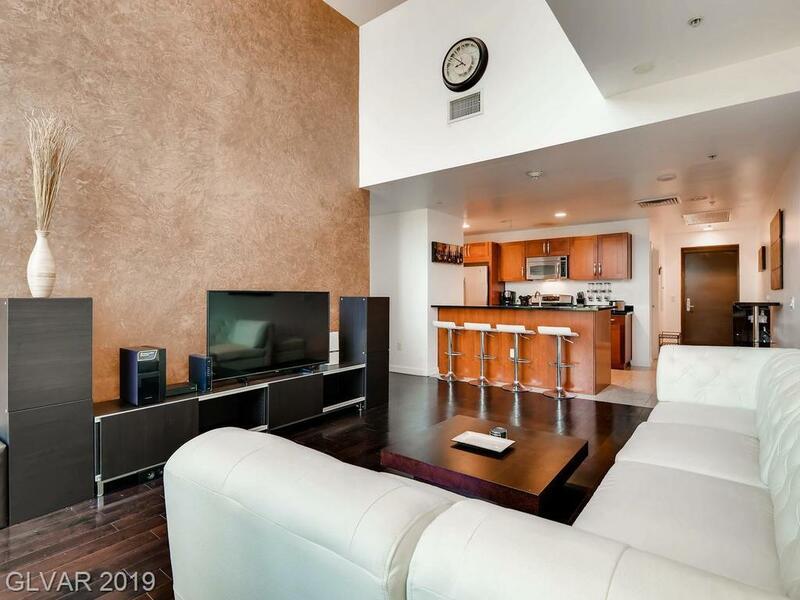 Wood, Stone and Carpet Floors, Granite Counters, Stainless Steel Appliances, Cherry Cabinets! Upstairs Bedroom is Open Loft with Walk in Closet and Bath! 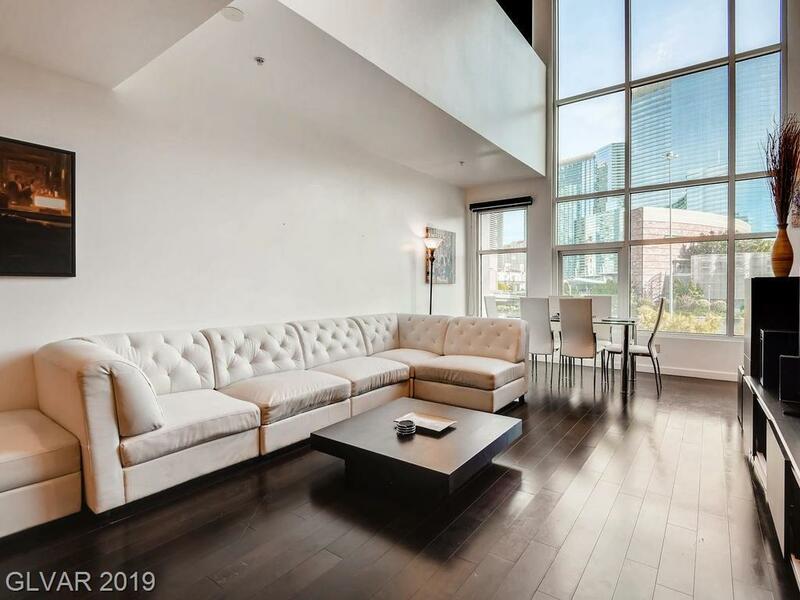 Enjoy all the amenities Panorama has to offer in a Contemporary & Unique Setting, including Guest Valet Parking! PARKING SPACES come with condo! Strip & City Views!